The first thing I noticed after setting up the Glow QuadraPop 24" x 34" Portable Softbox was how light it was. My testing rig consisted of a Sunpak flash (with manual adjustments), wireless trigger, and Manfrotto light stand. Once assembled, the setup felt very balanced and easy to move around. The QuadraPop is designed for portability, making it a good choice for home studios and location work where it needs to be collapsed and expanded quickly. The kit comes with an adapter ring that you insert the flexible aluminum rods into, then expand it to a full 24" wide by 34" tall - a nice surface area for waist up portraits. 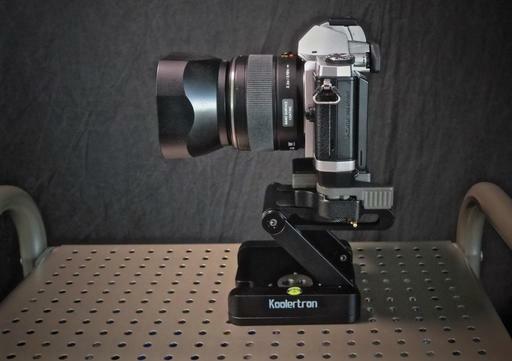 The flash and trigger (or hard wire if you use that) mount on a sliding rail. Position the flash so the head is inside the softbox. The light is modified by twin diffusers: one inside the unit, and the other attached using velcro on the outside. I would rate the output at medium hardness. It's flattering for portraits, but retains an edge. The results that I liked best used a reflector on the fill side of the subject. Because the QuadraPop is so light, and it really is, it's also a good choice for product shooting when you'd want to position the unit on top of the item facing down. It balances well on a standard boom, and is easy to position. You could also have an assistant simply hold it. The mounting unit can be adapted to a variety of flash units and moonlights via its custom interchangeable ring adapters. The UV-A and UV-R diffuser materials and are heat resistant, an the non-fluorescent dyes protect the fabric from that aging yellow cast that we've seen happen to some of our older modifiers. The reflective surface inside is quite bright, and it appears durable too. I selected the rectangular shape for my work, but it's also available as an octagon or round. And sizes range from 20" to 38" on the widest side. 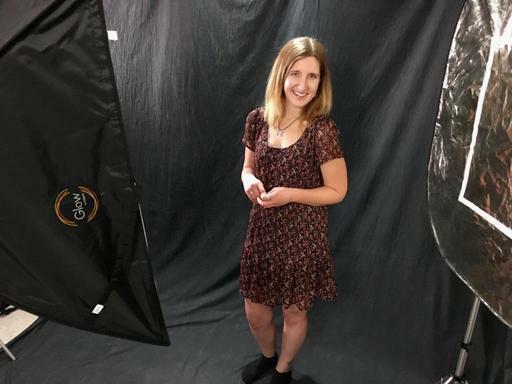 The Glow QuadraPop 24" x 34" Portable Softbox is currently on sale for $128 (normally $160). 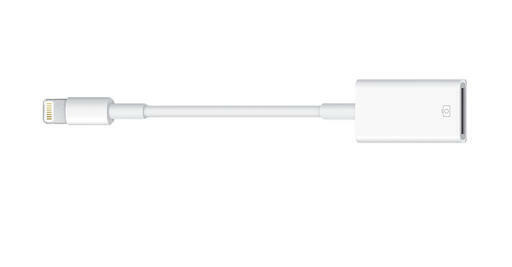 That's a good value considering its portability, ease of setup, and quality materials. With the recent release of iOS 9.2, camera-toting snapshooters can use the Lightning to USB Camera Adapter ($29) to transfer images from practically any digital camera to an iPhone. We've had this capability with iPads, but iPhones were previously left out of the party. Now everyone can play. 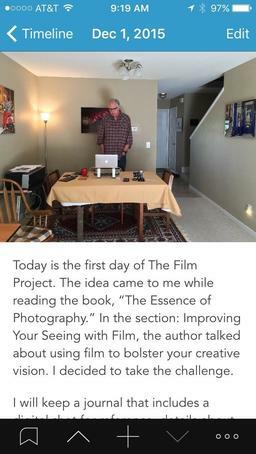 This would have been more helpful a while back before WiFi became prevalent with our digital cameras. But it's still a welcome feature for those who have non-WiFi devices they want to connect to iOS 9.2 phones. 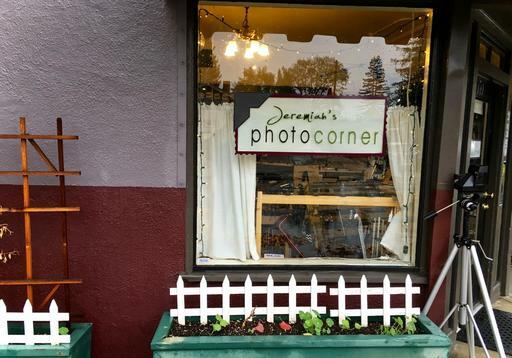 Lightroom Mobile has upped the ante for nimble photography by enabling access via a web browser on any computer connected to the Web. Lightroom Mobile users simply have to log in to https://lightroom.adobe.com, and just like that, their Lightroom Mobile environment is available. And it's not just viewing your images... you can also use a fairly robust set of editing tools to adjust pictures. All of this can come in handy when traveling ultralight. Let's say that you're at a friend's house and want to show off a few shots from a recent trip. Just go to his computer, log in to your account, and there it is. Check it out! Lightroom Mobile has a high Nimbleosity Rating. What does that mean? You can learn about Nimbleosity and more by visiting TheNimblePhotographer.com. When I decided to embark upon The Film Project, I needed an easy way to create journal entries to accompany my analog images. Since I have the iPhone with me at all times, finding an iOS app seemed like the smart way to go. And what a terrific app I found. Day One for iOS ($4.99) is handsomely designed software that runs on both iPhones and iPads. I can attach an image to the top of the journal entry, write the information that I want to retain, and even have the weather, location, and date automatically recorded. I can choose to have the entries backed up to my iCloud account where they are synced across all of my devices, including my Mac if I also purchase Day One for Mac OS X ($9.99). The workflow goes something like this. I shoot the image with my Contax T2 film camera. I then take a second shot with the iPhone 6S. I open Day One on the iPhone, add the iPhone photo to the latest entry, and type all of the information that I want to retain about the analog shot, such as shutter speed, f/stop, exposure compensation, and details about the composition itself. The same entry on my Mac where I can edit, review, and enhance. All of the changes are pushed back to iCloud and appear on my iOS devices. Then, when the processed film comes back from the lab, I can match up the journal entries to the prints. Plus, I can compare the differences between how the film interpreted the scene compared to the iPhone. The iPhone lens is 29mm wide while the T2 is a more narrow 38mm. So the journal images have a wider aspect, which I like, because it captures the surrounding story too. 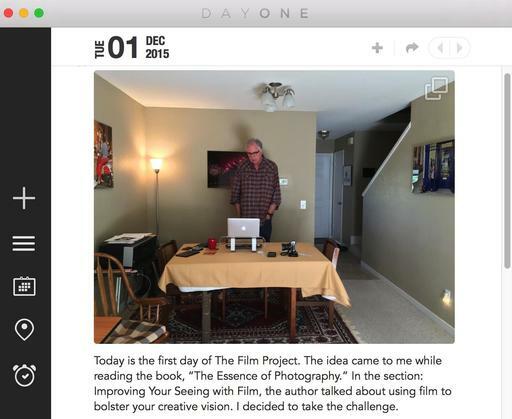 The bottom line is this: If you need a well-designed journal application to accompany your photography work, you'd be hard pressed to find a better fit than Day One. This is The Digital Story Podcast #508, Dec. 1, 2015. Today's theme is "Top 5 Nimble Cameras of 2015." I'm Derrick Story. What a great year in photography it's been. I think aside from some terrific new cameras, which I'm going to talk about in the next segment, I've been most excited by LED lighting for my studio and on location. I'm particularly impressed by the bicolor lights that allow me to precisely adjust color output from 3200K to 5600K. This solves a huge problem on location in particular, where office lighting often pollutes the background. Now I just match the ambient color temperature with my LEDs, then correct the entire image in post. It's wonderful! Wow! Some great cameras were released this year. Here are my five favorite nimble models. Olympus OM-D E-M5 Mark II - A superbly crafted, technology-packed Micro Four Thirds body that is a pleasure to shoot with. When I have to get the shot, and get it right, I reach for the E-M5 Mark II. 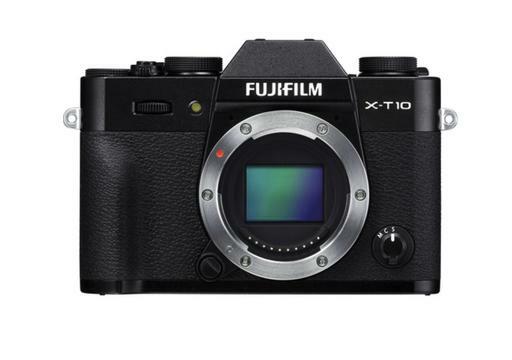 Fujifilm X-T10 - Revolving around the 16.3 MP APS-C-sized X-Trans CMOS II sensor and EXR Processor II, the X-T10 is capable of up to 8 fps continuous shooting and full HD 1080p/60 video recording, and features an expandable sensitivity range from ISO 100-51200. You get most of the benefits of its larger brother, the X-T1, but in a smaller package and at an affordable price. Sony Cyber-shot DSC-RX100 IV - World's first1 20.1 MP 1" Exmor RS stacked back illuminated CMOS, High resolution 4K movie recording with direct pixel readout and no pixel binning, Super slow-motion movie3 HFR (High frame rate) up to 960 fps (40x), and if that wasn't enough, a bright F1.8- F2.8 ZEISS Vario-Sonar T* lens (24-70mm) and electronic viewfinder in this palm-sized beauty. Canon PowerShot G5 X - Features a 1.0-inch, 20.2 Megapixel* High-Sensitivity CMOS sensor combined with Canon's powerful DIGIC 6 Image Processor creates the Canon HS SYSTEM for outstanding low-light performance up to ISO 12800. Plus EVF and fast f/1.8-2.8 zoom lens. It looks great, and Canon nailed it with this compact. Panasonic LUMIX DMC-GX8 - Unique, in-body stabilization in combination with select optically stabilized lenses work together for class-leading Dual Image Stabilization results, 4K video recording, and a breakthrough 20MP Micro Four Thirds sensor. 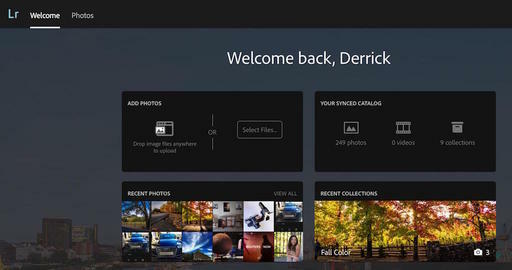 "Phase One has launched Capture One Pro 9, the latest iteration of its tethering and image editing software. Capture One Pro 9 offers a 'completely updated contrast engine,' additional brushes, color editor masks and new keyword tools, among other features. Phase One also now offers three activations of the software for each standard license a photographer purchases. Also on the list of updates is the ability to apply curves locally, the addition of a Luma option to the curve tool palette and a battery status icon for the tool bar to view tethered camera battery life." "Capture One Pro 9 is available now for Mac and Windows for $299 / â‚¬279 to new customers. Capture One Pro 7 and 8 customers can upgrade for $99 / â‚¬99. Anyone who purchased Capture One Pro 8 after October 30, 2015 will be exempt from the upgrade fee." One-click Smart cleanup to do all the cleaning automatically. 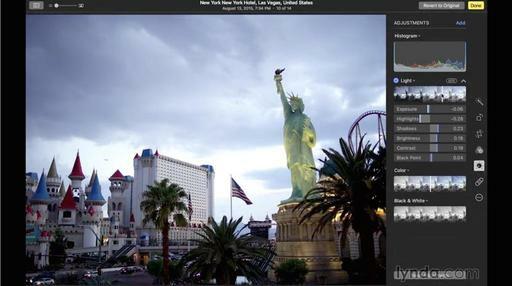 CleanMyMac also continues to support iPhoto library cleaning. And for one week, TDS listeners can save 30% (URL is: http://macpaw.com/tds) and get this essential app for $27.97 (instead of the normal $39.95). Start out the New Year with a clean, lean Mac, and leave the cruft behind. This week's giveaway is two copies of How Do I Do That in Lightroom by Scott Kelby. Everyone on the subscriber list for The Nimbleosity Report is eligible. If you haven't signed up, the link is in the show notes. The next drawing is Monday, Dec. 7, 2015. In regard to last week's podcast question: Cameras at the Dinner Table - Terry Doner writes: "Cameras at the dinner table. OK. Run by your people first. I have decades of photos from the dinner table. It is a nice piece of family history." And Fred counters: "I'm against cameras at dinner. You'll be concentrating on getting a good shot instead of participating with your family. The other people will be self-conscious because they'll never know when you're going to take a picture. Wait until everyone is relaxing and the camera won't be intrusive (especially if you use a flash)." Red River Paper reports: Made from 100% cotton rag and featuring a lightly textured soft gloss surface, Palo Duro SoftGloss Rag surpasses the saturation, tonal range, and depth of classic darkroom printing. Reminder: This paper is very heavy and thick. Do not use if your printer only feeds paper from the front! Registration is open for The 2016 Street Photography Workshop in San Francisco. And I've posted the full preliminary itinerary on the Workshops page. And if you plan on ordering through B&H Photo or Amazon, please stop by the TDS site first, click on their respective ad tile, then place your order. That extra step helps support the site. 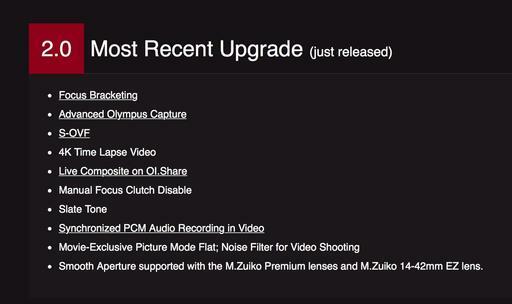 The day after Thanksgiving seemed like a good opportunity for updating the firmware on my OM-D E-M5 Mark II. And as it turned out, I did need more time than I expected. But like they say on the Upgrade page: you're downloading a whole new camera. The first step is to launch the OLYMPUS Digital Camera Updater app that came with your camera (Mac or PC). You can also download it from the Olympus site. Connect the OM-D via its USB cable, and let the application walk you through the steps. Be sure to pay close attention to the prompts, and do not turn off your camera until you see the OK message on the LCD. There are a few lenses that you might want to update at the same time. 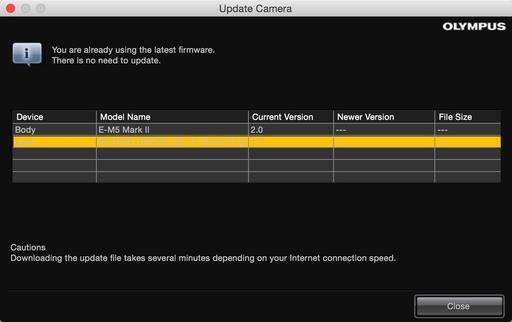 The Updater app reads the firmware for both camera and attached optic. In my case, I also needed to update the 60mm f/2.8 macro, 40-150mm f/2.8 PRO zoom, 12-40mm f/2.8 PRO zoom, and the 14-42mm EX pancake zoom. Each of these take a few minutes to update, so make yourself comfortable as you perform the operation on each one. Once body and optics are up to speed, you'll need to reconfigure your menu settings. I reprogrammed my function buttons, added my copyright information, turned off Quick Sleep Mode (Hate that one! Gear Menu K > Quick Sleep Mode), and made sure my Jpegs were recording in SuperFine, not fine. This process takes another 15-30 minutes. But now you get to enjoy the fruits of your efforts. As you can see by the above list, there are plenty of new goodies to play with. I reprogrammed Fn1 to enable the Simulated Optical Viewfinder (S-OVF), so I can now toggle between that view and the standard EVF rendering. I'm also able to use Focus Bracketing (Shooting Menu 2 > Bracketing > Focus BKT ) to automatically record a series of images at different focusing points that can be composited into one sharp image in post production. I recommend the Olympus 60mm f/2.8 for this task. 4K Time Lapse Video output is also available. You can find that setting in Shooting Menu 1 > time lapse (bottom of the menu)> Time Lapse Settings > Movie Settings. This allows you to save your time lapse masterpieces in full 4K glory. And finally, for those of you who have been befuddled by accidentally sliding your PRO lens into manual focus, you can now prevent that from happening by turning on Manual Focus Clutch Disable via Gear Menu A > MF Clutch > Inoperative.